Doug coordinated all the FX and co-produced this movie. 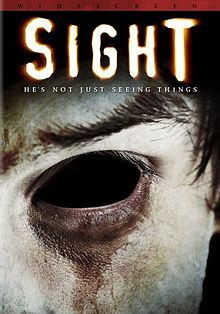 Written, directed and shot by Adam Ahlbrandt, the horror/thriller Sight was distributed worldwide by Lionsgate and is available on DVD and streaming services. Starring and produced by Clayton Haske. Also starring Tony Luke, Jr and Allison Persuad. Jeffrey leads a quiet existence. Living in constant fear of being labeled a psychopath, Jeffrey constructs a complex world of denial. He is haunted by the spirits of the vengeful dead, which he can see while no one else can. After meeting Dana, a beautiful young woman who shares his sight, Jeffery finds comfort in knowing someone shares his affliction. But his comfort is short lived. Dana suddenly goes missing and Jeffrey is left alone to find the answers.